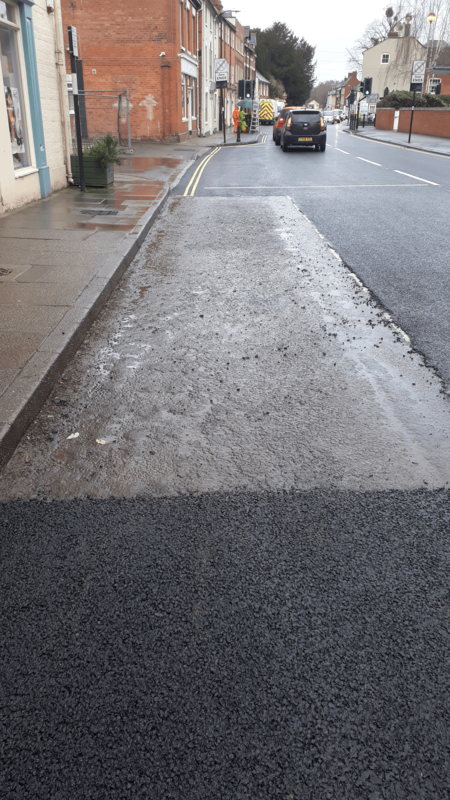 A parked car prevented the road being planed down and resurfaced last Sunday. It was not registered in Shropshire. This area will be patched on Sunday providing no one leaves their car in the space overnight Saturday. Corve Street is being resurfaced over three Sunday nights. The existing surface was laid by a previous council contractor and it failed immediately. Shropshire Council’s highways engineers have designed a very thorough repair that will last many years. The existing surface is being milled down 50mm. A hard wearing tarmac surface will be laid. Drains are being flushed out to prevent flash flooding. Traffic light sensors are being replaced to improve safety. New white and yellow lines will be painted. 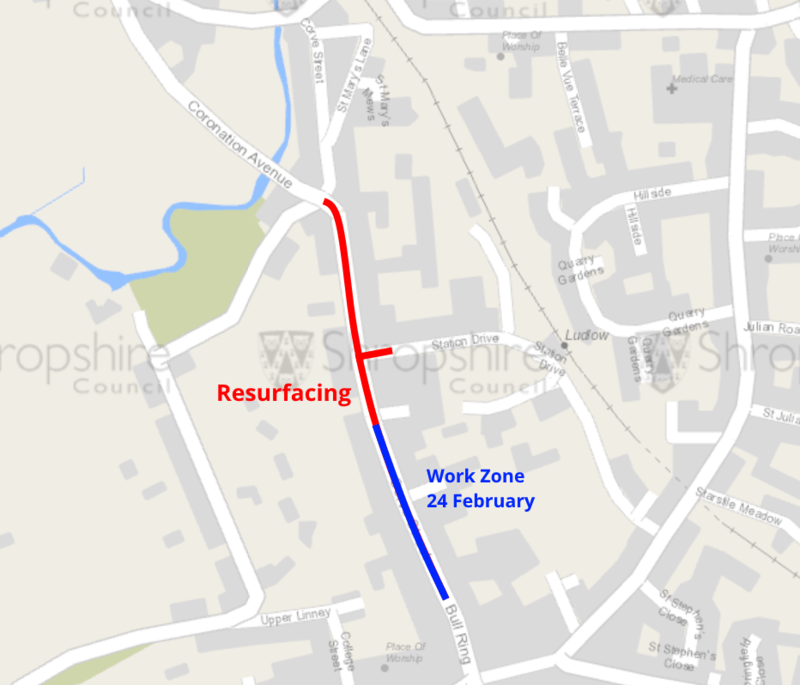 Cycle boxes will be remarked at the traffic lights outside Tesco at the junction of Station Drive and Corve Street but they will no longer have red tarmac. That’s in line with current practice in conservation areas. Next Post Is Severn Trent the country’s most inefficient utility company for roadway repairs? You have a picture of the car parked on yellow bollards and presumably someone has its registration details, why can’t a fixed penalty notice be sent in the post? I understand car was there for a few days? Where is SCC when they are needed to get the job done without having a “patch” laid.